Approximately 30 million women (25% of all women) in North America experience thinning or fine hair, resulting from diet, heredity, medication, health issues, or simply the aging process. These women are turning to hair extensions as an excellent alternative to provide more fullness and volume, but this group of women is not the only reason that the hair extension market continues to rapidly grow. Hair extensions have also become a fashion trend and much more mainstream than ten years ago. Hair extensions are now appealing to all ages, as women play with different looks, just because they can. VoMor Hair Extensions allow you to choose to add color, volume or length – for a special occasion or just to make a simple change. VoMor extensions are tape-in and reusable. Reconditioning is recommended twice after the first application. 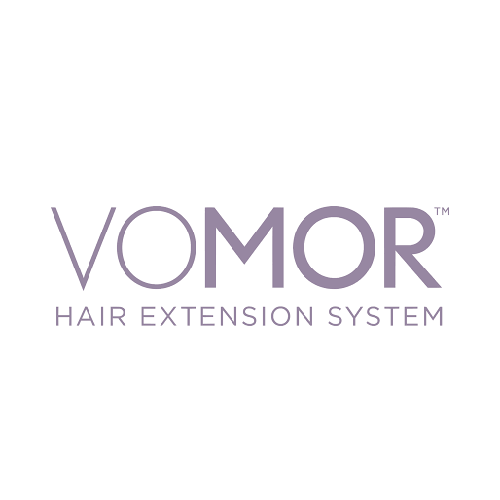 VoMor extensions are exclusively made from cuticle intact Remy hair, collected and manufactured in a humane manner, and packaged according to environmental guidelines.